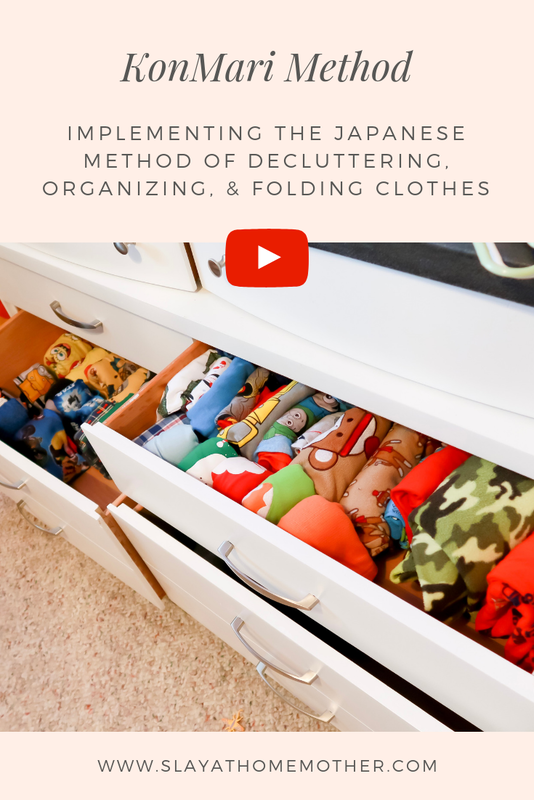 One of my wonderful blogging BFF’s told me about a Netflix show, Tidying Up With Marie Kondo last week, and she told me it would make me want to organize EVERYTHING all over again. I trust her, so I watched it – and HOLY COW. I’m kind of in love with Marie Kondo. If you haven’t seen it, you need to. It will ABSOLUTELY change the way you look at your home. I sat there, Goldfish crackers in hand, unable to turn from the screen. I’ve always been a sucker for BEFORE & AFTER’s, and when you add in some organization…woahhhh buddy. I managed to be a total couch potato for 3 whole episodes while Jaxson napped peacefully on the other side of the house, taking in the beauty of folding and organizing. After a couple of episodes of inspiration, I felt ready to tackle a project in my own home. With Jax’s new Preschool schedule (I still can’t believe he’s started preschool, and he’ll be turning 3 in March), I couldn’t dedicate the week to decluttering my entire home like they feature on the show, and I couldn’t tackle more than one category of items in a day, but I decided to focus on one or two places in my home that I could get done in an afternoon while Jax napped. 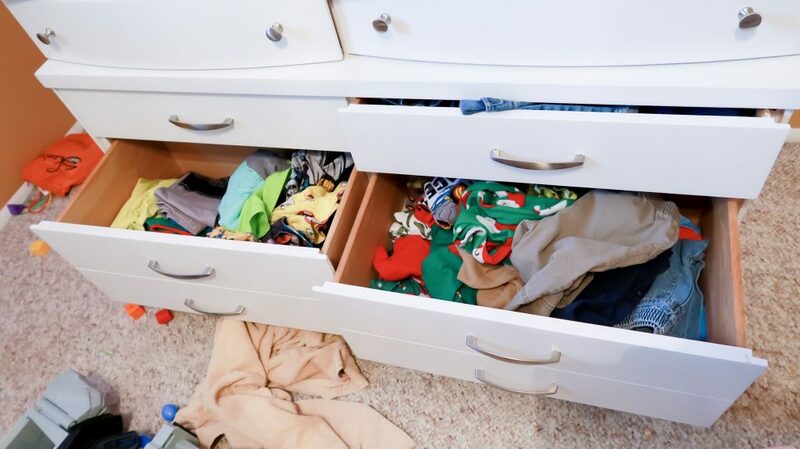 Those two places were my master bedroom closet, and the boys’ dresser drawers. Being that Chris works during the day right now and he was at work when I decided to jump into this new adventure in organizing, I had to exclude my husband’s closet for now because I didn’t know what he would want to get rid of and keep. If you want to skip the read, I have a vlog dedicated to this process below! Before I tell you what I did, or what I thought about this process, I needed to show you what I was dealing with, day in and day out. I know, I know. You’re probably looking at my closet and thinking, ‘And her blog name is ‘Slay’ At Home Mother? Pftttt….’, but hey, nobody’s perfect. I consider my home to be in a constant shift between housing living human beings and so clean it’s like no one lives here at all. Those two baskets? They hold the clothes we either can’t fit into our closets, or have run out of hangers to hang them on. Oh, and socks. 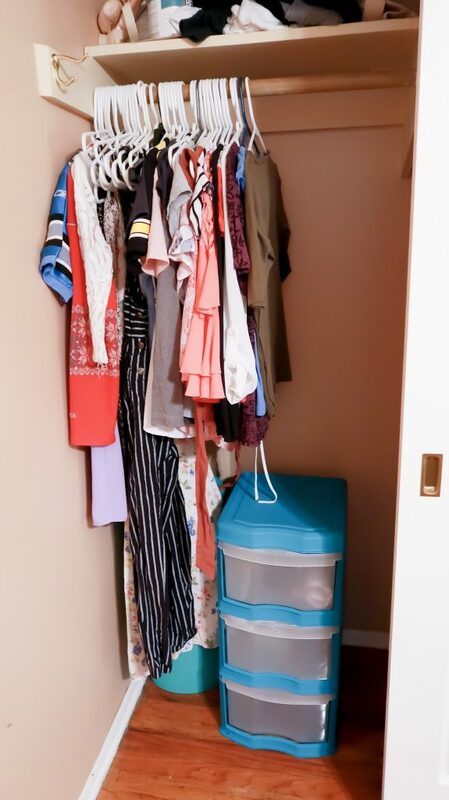 With the KonMari method, you start with one category of items and group them all together. 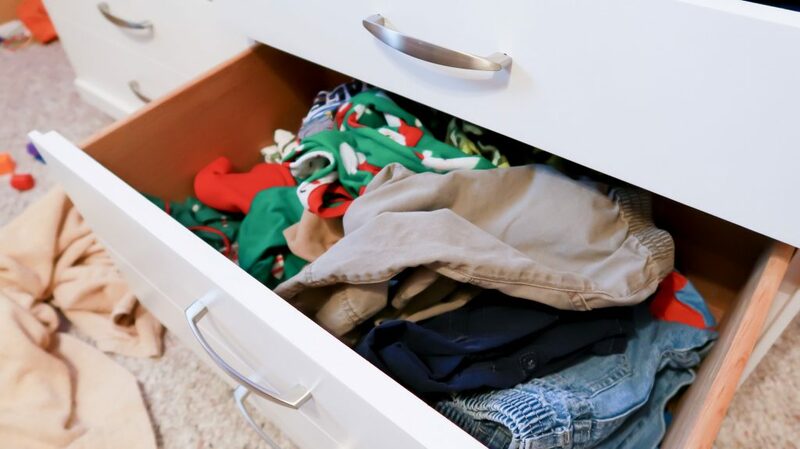 With clothes, that means pulling everything you own out of your closet, drawers, and wherever else, and put them into a big pile. I started with the shirts and dresses I had hanging up in my closet, laying them in a pile on the bed. Next, I emptied my drawers of pajama pants, leggings, and T-shirts, laying those on the bed on the pile as well. Now that my closet was empty, I was able to take in exactly how much space I have. This made it easier to figure out how much to purge from my closet, as well as focusing on what clothing items truly spark joy for me. 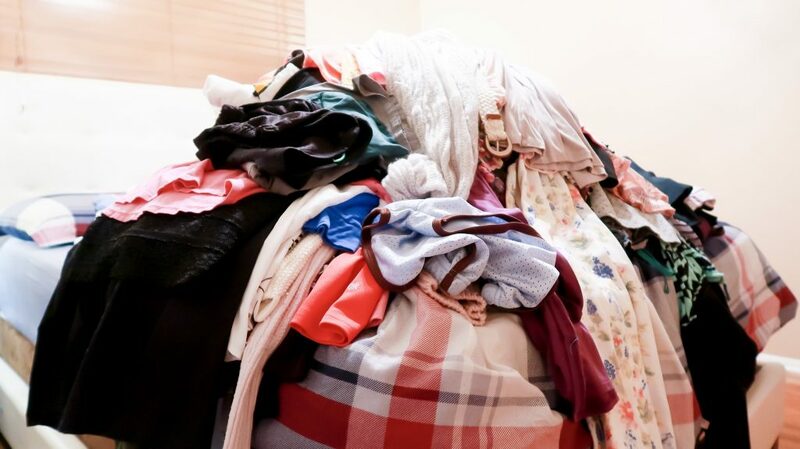 Once you have a few moments to take in the massive pile of clothing items you have, you’ll understand how much stuff you have and want to do something about it. With a donation bag handy, I started going through each clothing item I owned. If an item ‘sparked joy’, I would keep it. If an item of clothing no longer sparked joy (or didn’t fit anymore), I would thank the item, and kindly place it in the donation bag. Hanging to the left side of my closet (the least-visited side), I keep my warm weather clothes like dresses and shirts. On the right side of my closet, I keep the cold weather clothes like sweaters, hoodies, and long sleeve T-shirts. I did this because it is currently the middle of January, and about 20-30 degrees these days. 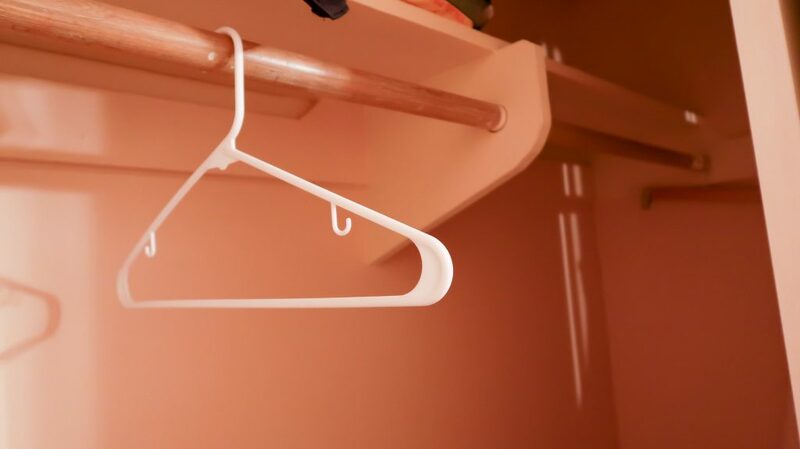 I can now easily access the clothes I need without having to thumb through 100+ hangers of random clothing to get what I need. On the top shelf, I decided to keep only my pointe shoes from my ballet days, a few maternity clothing items that I plan on wearing for our 3rd pregnancy, and one pair of scrubs in case I ever need to go back to work. I originally had about 15 pairs of scrubs sitting on the top shelf – I haven’t worked as a dental assistant in almost four years. I think those were the hardest clothing items to get rid of because they each held so many memories for me. 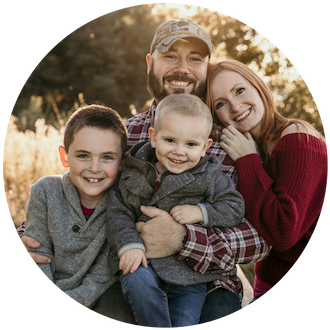 It was also a great chapter in my life, and something that I accomplished as a single mother, and led to me meeting my husband Christopher. My leggings (one pair I feel I still want to throw out because it collects #allthedoghair) and pajama shirts are folded using the KonMari method. They take up very little space this way and I can easily find what I need! Looking at my closet now, I only have about 1/4 of the items I did before. 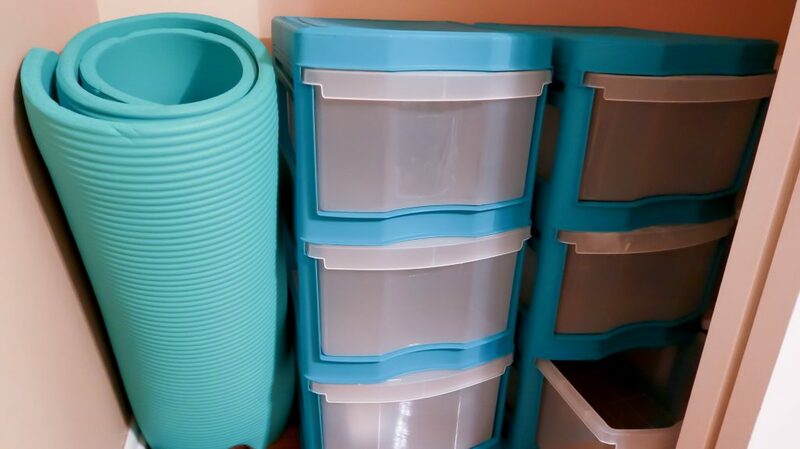 I was able to eliminate one of the teal drawer sets I had in my closet, and truth be told, I don’t necessarily need the large white one I have in there! *Note: I still have clothing in my dryer downstairs to go through, but I will go through that once I get the laundry going again. 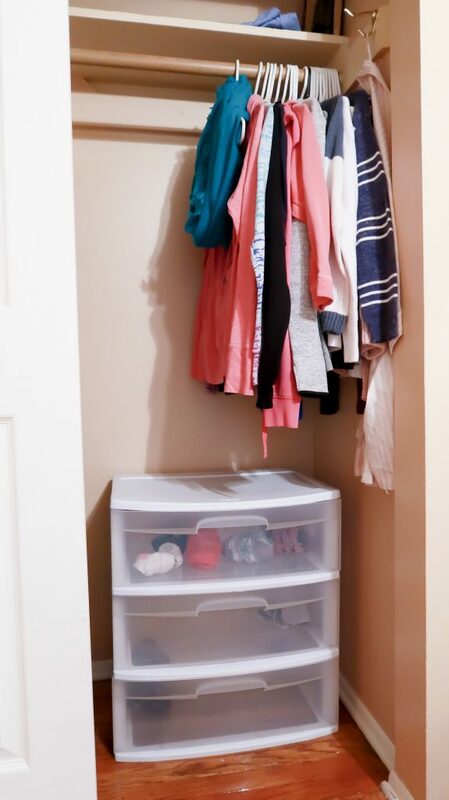 This was a great way to declutter what I have just sitting in my closet for now. Our boys both share a bedroom – we purposefully put them into one bedroom once Jax was 2.5 because we started trying for a 3rd baby, and we wanted Jax’s room to become the nursery for the new baby. While we aren’t pregnant yet, I am really glad we put them into a shared bedroom. I feel that if we had waited even until I was pregnant with another baby, Jax would have had a much harder time moving into Max’s bedroom. Plus, I would hate to force one of the boys to share a bedroom with a newborn waking up at all hours of the night. It just makes sense for our family. And the boys love it! I recently went through Max and Jaxson’s clothes a few months ago, purged everything that wouldn’t fit and items they just wouldn’t wear. 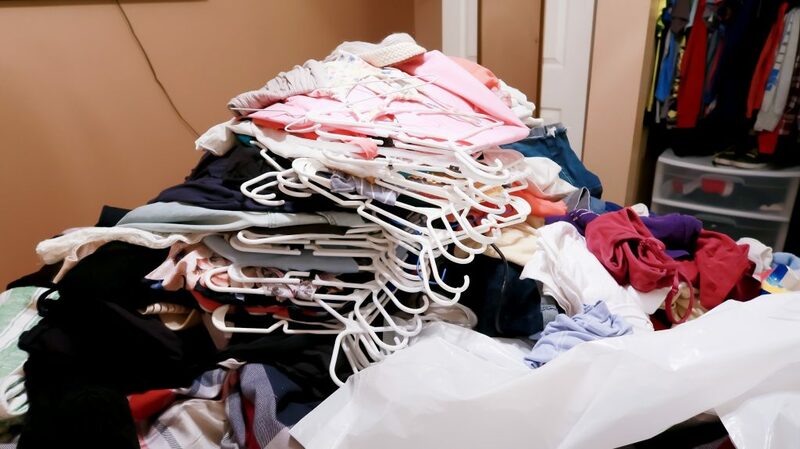 I go through this decluttering and purging cycle with their clothing every 3-4 months as the season changes and they grow. I really need to focus on organizing their clothing. Their shirts are hung up neatly in the closet, but their dresser drawers are kind of a headache for me! The boys share this dresser, one side for each of them. 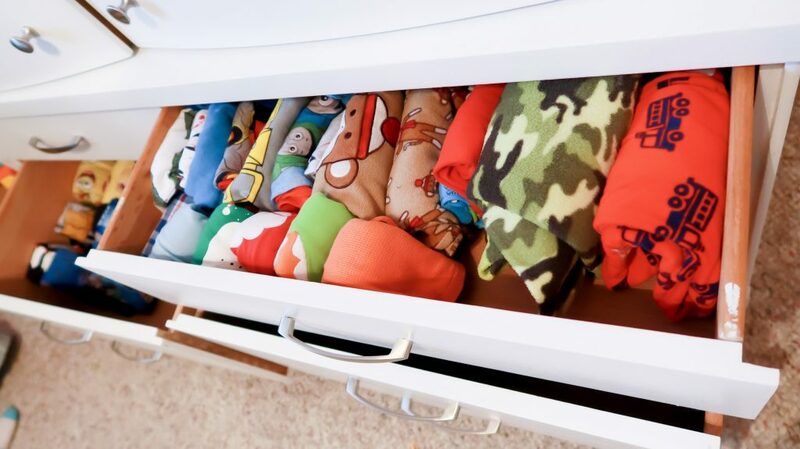 We store their underwear and socks in the top drawer, pants in the second drawer, and pajamas in the 3rd drawer. Starting with one side of the dresser at a time, I took everything out of their drawers and piled them up. Having recently gone through their clothing items, I didn’t need to purge anything, thankfully. Instead, I started folding using the KonMari method. I didn’t grab any photos of the folding process only because I vlogged the whole thing. 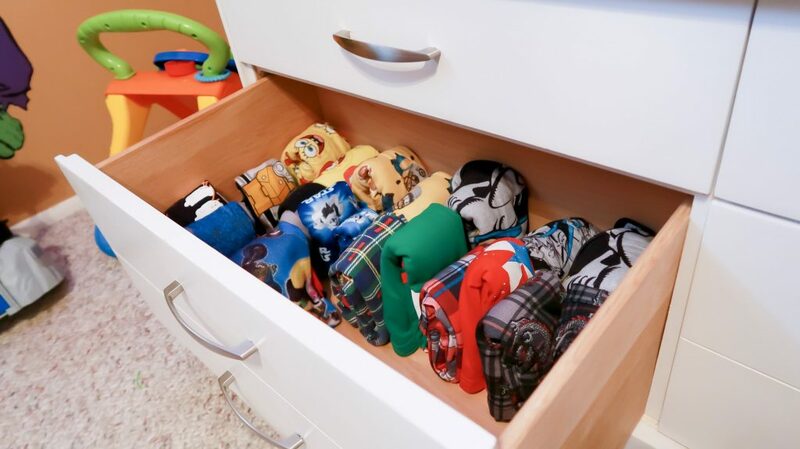 Here are their drawers after folding KonMari style ;)…. 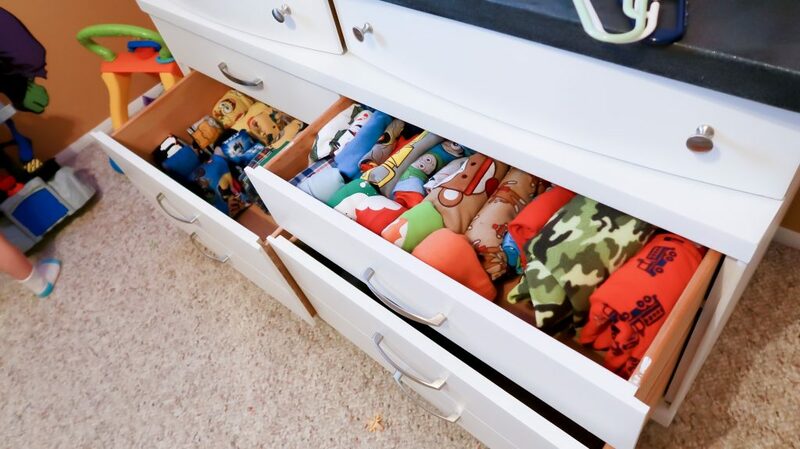 I switched Jax’s pajamas from the bottom drawer to the middle drawer because they seemed to just fit better. 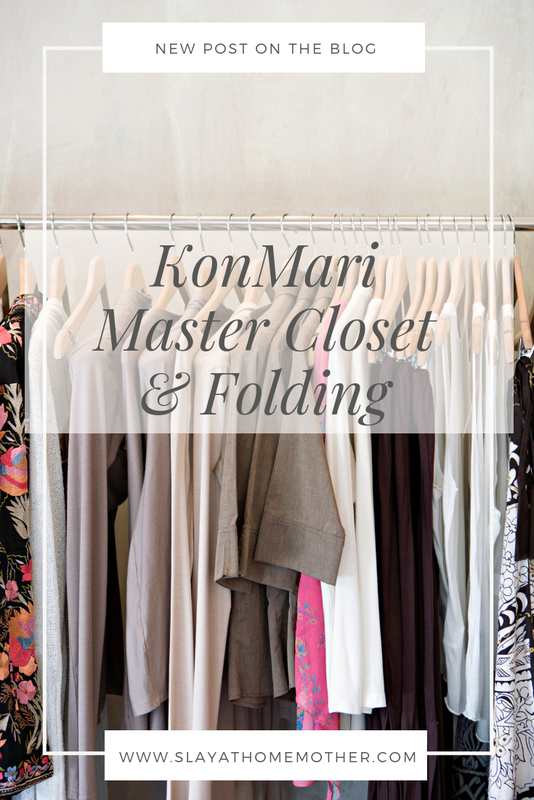 KonMari is all about finding the best way to store your items in a way that is tidy and works. And this just worked better! For some clothing items, I ended up modifying the folding method to fit my needs. For example, with using the folding method to fold a shirt, KonMari says you should fold the shirt in half after tucking in the sleeves (leaving a little gap of material at the bottom), then fold the shirt in thirds. For smaller shirts (like Jax’s pajamas tops), I found that I couldn’t fold them in half and then in thirds, so I just tucked the sleeves in and folded them in thirds! 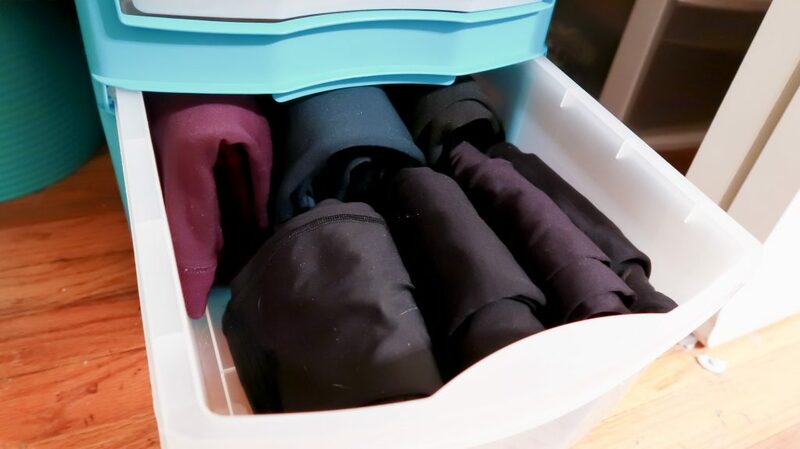 With KonMari, folding clothing this way makes them not only look tidy, but it also creates a way to easily open your drawers and see everything you have in an instant because they are stored vertically. I don’t have to lift five other pairs of pants to find the gray pair that I need for Jax to match with his favorite dinosaur T-shirt (only to discover it isn’t even there). 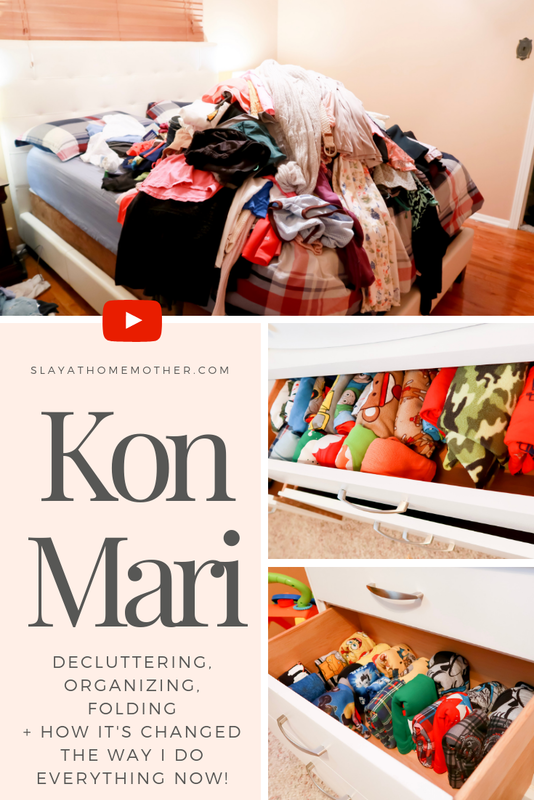 I was a tiny bit skeptical about the process and how practical it would be for our home – but I can’t speak highly enough of the KonMari Method! Even having just started organizing my home – I feel like a weight has been lifted off of my shoulders. Keeping all of that clutter – clothes that didn’t even fit me anymore or that I didn’t feel joy wearing or owning – had this invisible weight for me. “Are you looking at that and thinking ‘I’m happy with that? I have enough’? Are you okay with only having that many clothes?”, he asked me. I was surprised myself, but I felt GREAT! Only keeping the clothing that makes me feel happy, makes me happy! I’m actually really excited to see what else I can use the KonMari method for in my home. I’m thinking…linen closet? Also, our nursery has been like a catch-all room. 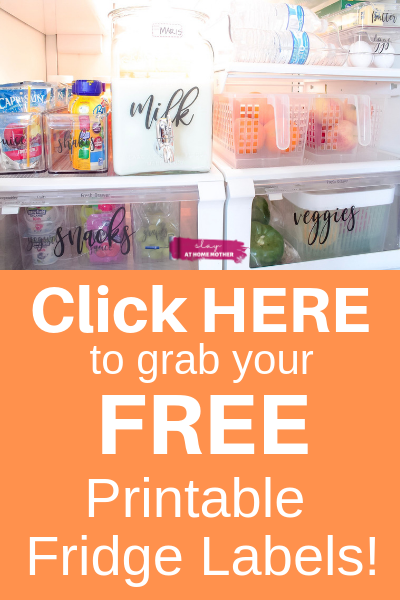 So I’m really excited to keep going with this process and decluttering our home! 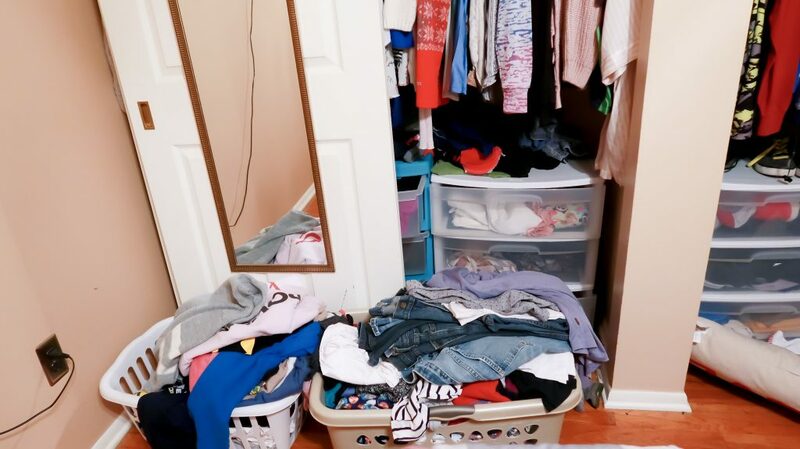 Have you tried the KonMari method? What are your thoughts? Share with me in the comments below! I have been doing this with the shirts I keep in my drawers, but have GOT to go through my closet! It just seems so daunting, but I know I will feel so much better once I am done! Some of her practices are odd to me, but I can adjust where needed. I didn’t think I’d like standing my clothes up in folded rectangles but it seems to be working out for my tank tops. I’m one of those people who HATES clutter so the Marie Kondo phenomenon is music to my ears! I’m all about only being around people and things that truly spark joy!